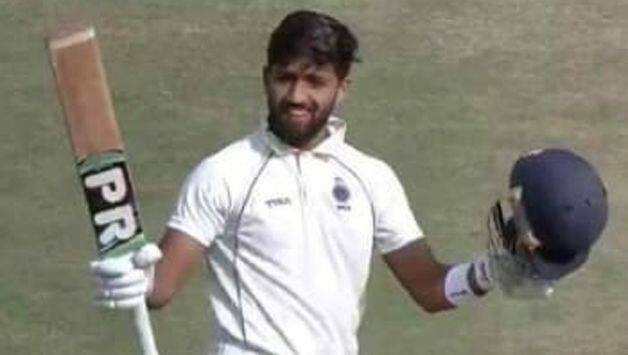 Madhya Pradesh’s 21-year-old opener Ajay Rohera scored 267 not out on his first-class debut against Hyderabad on day three of round five of Ranji Trophy 2018-19, thus setting a new cricket world record for the highest-ever score on debut in first-class cricket. 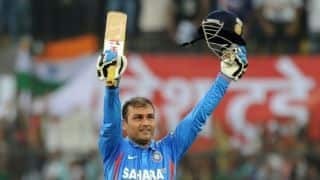 He eclipsed domestic giant Amol Mazumdar’s score for 260 set on February 12, 1994 in the Ranji Trophy pre-quarters against Haryana. Rohera, making his senior team debut in Ranji Trophy, after playing two List A games, scored his runs at quick pace maintaining a strike-rate of 77.39 and hit 21 fours and five sixes. He remained unbeaten on 255 on day two and early on day three, went past Mazumdar’s record. 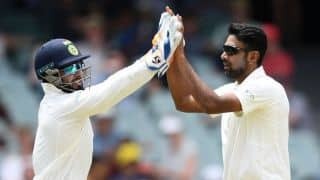 Soon after, Madhya Pradesh declared their innings at 562/4 with Rohera on 267 unbeaten and Yash Dubey not out on 139, taking a lead of 438 runs over Hyderabad, who were shot down for 124 in their first innings. In the CK Nayudu Trophy 2018-18, BCCI’s under-23 competition, Rohera has scored 431 runs in five matches at an average of 61.57. Interestingly, Mayank Raghav of Manipur, outstation player from Delhi, scored 228 on his first-class debut a day earlier.